An analysis of small businesses’ experience of legal problems, capacity and attitudes is the name of a report published in October 2015 for the Legal Services Board by the Small Business Research Centre at Kingston University. The key findings do not, in my view, make for comfortable reading by solicitors, but they may also suggest that some important business opportunities are being missed by law firms who could be offering cost-effective services to small businesses. The number of legal problems faced by small firms reduced significantly over the last two years reflecting better trading conditions. The most common problems related to trading, employment and taxation. Other businesses were the main source of problems. Half of firms reporting a legal issue said it had a negative impact; one-quarter of them reported loss of income and one-fifth reported health related problems. Total annual losses to small firms due to legal problems is estimated at £9.79bn. Larger small businesses, and businesses with BME and disabled business owners-managers, were most likely to experience problems. The large majority of firms had little contact with legal advisers. Less than one in 10 either employed in-house lawyers or had a retainer with an external provider. Over half of firms experiencing a problem tried to resolve it by themselves. When advice was sought, accountants were consulted more often than lawyers. There was a marked decline in the use of external support providers between 2013 and 2015, reflecting the decline in problems. Use of solicitors in the previous 12 months fell from almost 20% to almost 10%; and accountants from over 60% to just over 49%. Only 13% of firms viewed lawyers as cost effective – little improved since the LSB’s 2013 survey. Microenterprises were the least likely to view lawyers as affordable. Almost 50% of respondents strongly agreed or agreed with the statement that they use legal service providers as a last resort to solve business problems compared with 12% who disagreed strongly or disagreed. Satisfaction that law and regulation provide a fair trading environment increased from 30% in 2013 to 45% in 2015 – improving economic conditions as well as improvements in the regulatory environment may explain this change. This report was one of the items used by the Competition and Markets Authority in deciding to undertake a Market Review of legal services. After the regulatory upheavals which led up to the Legal Services Act 2007 and the creation of the Legal Services Board, lawyers might have been forgiven for thinking that the regulatory playing field might be left untouched for a bit. But no. The Competition and Markets Authority announced in January 2016 that it was going to take a close look at competition in legal services provision by launching what is called a Market Study. The Competition and Markets Authority (CMA) will examine long-standing concerns about the affordability of legal services and standards of service. Concerns have also been raised about the complexity of the current regulatory framework. The announcement also stated: According to recent surveys … around one in ten users of legal services in England and Wales have said that the overall service and advice provided to them was poor value for money …, [and] amongst small businesses, only 13% said they viewed lawyers as cost-effective and around half agreed that they used legal service providers as a last resort to solve business problems. The outcomes of a Market Study are very varied, and may range from a finding that all is well and that no further action need be taken, to a full scale investigation into the particular market. The time line for the present study is that after a very short consultation (ending early Feb 2016) an interim report will be published in July 2016, with a final report at the end of the year. This also provides links to some of the reports on which the case for launching the Market Study is based. 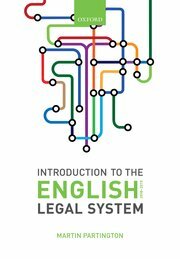 There is much talk, excitement even, at the prospect of the court system at last taking steps to embrace on-line technologies to increase efficiency in the process of resolving disputes. There are already a number of proceedings that can be started on-line, such as possession proceedings and money actions. The family courts are also engaged in these developments. But just before Christmas 2015 a problem was identified with one of the on-line forms that can be used – Form E.
Form E is the form on which parties in divorce, dissolution, nullity or judicial separation proceedings disclose information about their assets and liabilities. One feature of the Form is that is has a calculator built in which calculates a figure which judges can then use to judge any financial settlement. This fault that was discovered meant that the automatic calculator in the form calculated the wrong total for an individual’s net assets by failing to deduct certain liabilities. The fault had not always been there but it was present in versions of Form E which were online between April 2014 and mid December 2015 and also between April 2011 and January 2012. HMCTS staff found that a total of 36,527 cases had used different versions of the Form, of which 3,638 files – 10% – contained the faulty calculator version of Form E. Of these, 1,403 cases were still live, allowing HMCTS to intervene immediately to clearly flag these cases to the courts in order to avoid the error affecting the final orders in these cases. But 2,235 files – 6.1% – were closed cases, so that the fault could have affected the outcome. On 21 January 2016 the Minister Shailash Vara announced that parties in these cases would be contacted to see whether they wanted their case to be reviewed. Although the increased use of IT in court dispute-resolution procedures is inevitable, this instance is a reminder of the importance of ensuring that relevant software is throughly tested before it is made publicly available. It should be noted that the error was not discovered by a solicitor (they tend to use different software) but by a company called the Family Law Clinic who provide low cost assistance to parties seeking to do the divorce themselves. It may also be noted that DIY divorce is not just for those of moderate means. The high profile divorce announcement, also in January 2016, by Gary Lineker contained the information that he and his wife had obtained their divorce for just £400. For the ministerial statement on Form E see https://www.gov.uk/government/speeches/family-justice. Early in 2016, there was an announcement that more criminal cases would be dealt with in the magistrates’ courts, rather than being sent to the Crown Court. The source for this announcement was not a new piece of legislation, redrawing the boundaries between cases heard in these two courts. Rather, it was the announcement that, from 1 March 2016, the Sentencing Council was issuing ‘definitive guidance’ on how cases triable either way – i.e. summarily (in the Magistrates’ Court) or on indictment (in the Crown Court) were to be allocated. fetter discretion to commit for sentence even after requesting a pre-sentence report”. The Sentencing Council consulted on a change to their guidance on allocation and have provided new guidance which comes into effect on 1 March 2016. • for reasons of unusual legal, procedural or factual complexity, the case should be tried in the Crown Court. This exception may apply in cases where a very substantial fine is the likely sentence. Other circumstances where this exception will apply are likely to be rare and case specific; the court will rely on the submissions of the parties to identify relevant cases. 2. In cases with no factual or legal complications the court should bear in mind its power to commit for sentence after a trial and may retain jurisdiction notwithstanding that the likely sentence might exceed its powers. 3. Cases may be tried summarily even where the defendant is subject to a Crown Court Suspended Sentence Order or Community Order. 4. All parties should be asked by the court to make representations as to whether the case is suitable for summary trial. The court should refer to definitive guidelines (if any) to assess the likely sentence for the offence in the light of the facts alleged by the prosecution case, taking into account all aspects of the case including those advanced by the defence, including any personal mitigation to which the defence wish to refer. Where the court decides that the case is suitable to be dealt with in the magistrates’ court, it must warn the defendant that all sentencing options remain open and, if the defendant consents to summary trial and is convicted by the court or pleads guilty, the defendant may be committed to the Crown Court for sentence. It is estimated that a significant number of cases will in future be retained in magistrates’ courts as a result of this guidance. The guideline aims to bring about a change in culture and will inevitably provide some challenges, but the Council is confident from the responses to the consultation that the guideline will be welcomed by sentencers and will play a role in ensuring that justice is delivered fairly, swiftly and efficiently in more cases. Lord Justice Briggs has been asked to undertake an urgent review of the structure of the civil courts, to accompany the court reform programme currently being undertaken by the Ministry of Justice. He has recently (12 Jan 2016) published an interim report. Prepare the civil judiciary to play their part in the management of the HMCTS reforms from April 2016, including Judicial College training and staff to support the leadership judges. As soon as possible design the structure and software which will be needed for the re-organised courts, particularly the Online Court. Ease the burden on the Court of Appeal. There is a clear and pressing need to create an Online Court for claims up to £25,000 designed for the first time to give litigants effective access to justice without having to incur the disproportionate cost of using lawyers. There will be three stages: Stage 1- a largely automated, inter-active online process for the identification of the issues and the provision of documentary evidence; Stage 2 – conciliation and case management, by case officers; Stage 3 resolution by judges. The court will use documents on screen, telephone, video or face to face meetings to meet the needs of each case. He raises a number of further questions, e.g. whether the on-line court should use the current Civil Procedure Rules, or work to new bespoke rules. On the role of Case Officers, his provisional view is that some of the existing judges’ more routine and non-contentious work should be transferred to Case Officers supervised by judges. Parties should have the right to have a Case Officer’s decision reconsidered by a judge. He then asks questions about how case officers should undertake their work: by mediating? or by written early neutral evaluation? He also asks what qualifications case officers should have. He wants to see more civil work being dealt with in the regions outside London, and the development of expertise in dealing with civil cases in more centres outside London. The full report is downloadable through links at that page. Interesting footnote: In line with his on-line vision for the Courts, Lord Justice Briggs is refusing to accept any written submissions on paper – all comments and ideas have to be submitted on-line.